I'd like to start this post off as a little apology for not posting for just under a week. As I was on holiday, I didn't want to spend my time writing up blog posts and the week previously I didn't have enough time to get all of my posts scheduled! But I am back, ready and motivated to put 110% into my blog, social media accounts and my dissertation (ugh). 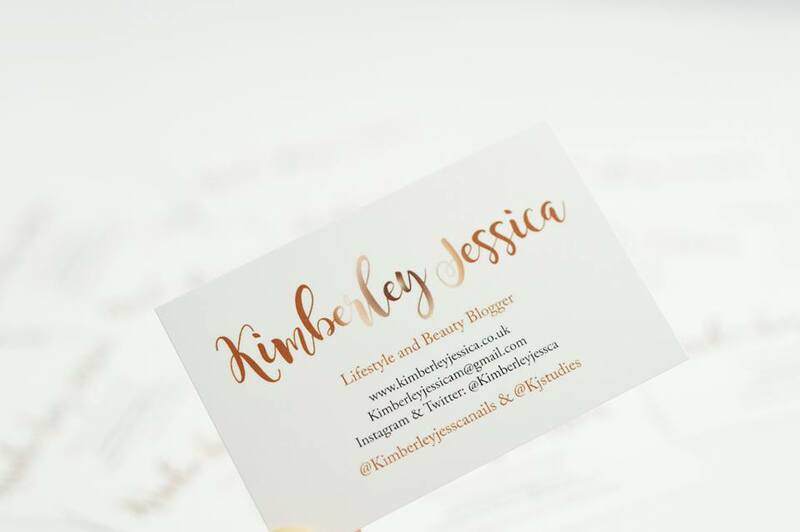 After attending the Bloggers Who Brunch Launch and realising I absolutely love events, I decided this was the best opportunity to get myself some business cards for future events which I plan on attending! 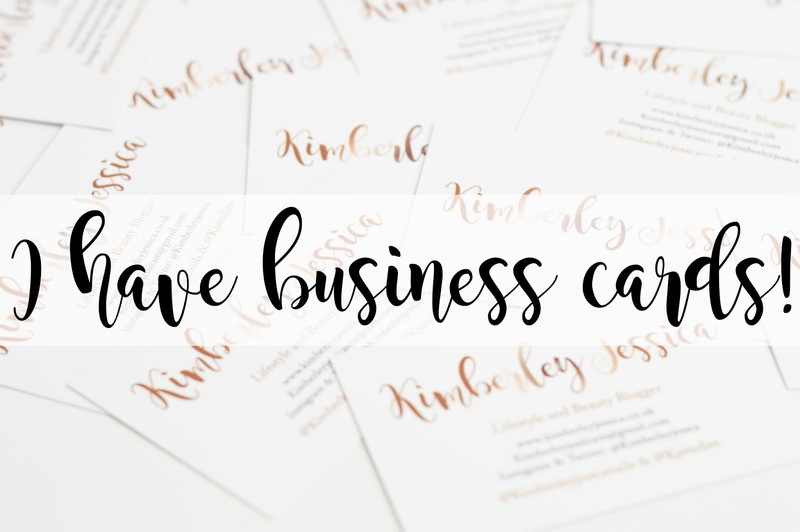 It took me a while to decide on the design of my business cards but I really wanted them to look like what my blog looks like so you can really see the ME in my business cards, and I definitely think you can! You know they are mine, you can see I've designed them and they're absolutely everything I wanted in a business card. 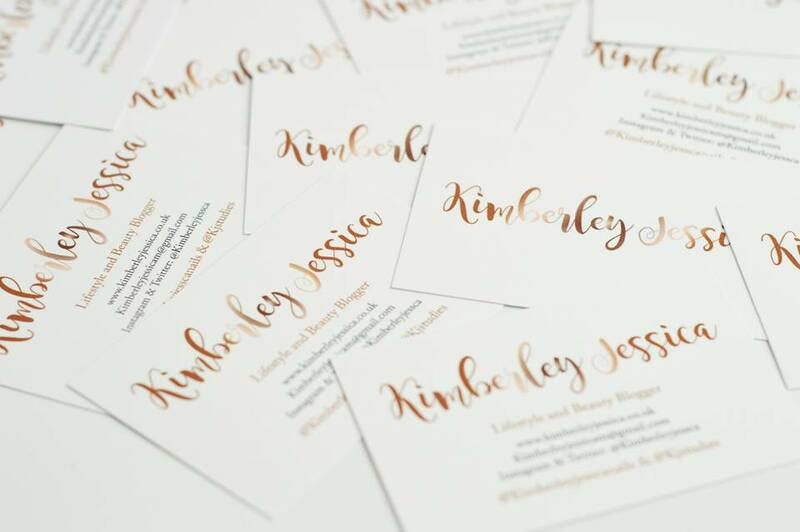 After researching for a couple of days to try and find the best deal on business cards but with the velvet, soft texture, I decided to go with Hello Print to have my cards printed (this isn't sponsored). I knew 50 business cards wouldn't be enough and I'd eventually end up ordering more, so I decided to go with 250 and with Hello Print, the more you order, the cheaper it is. I love it. 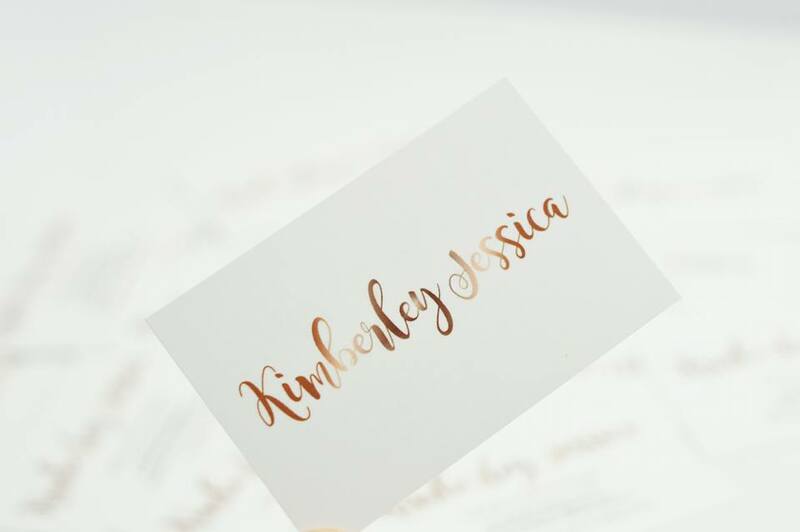 I chose to have my business cards double sided and personalised with my own logo. I created the design on Photoshop and then uploaded the pictures onto the website once I had paid; it was as easy as that. The tough part was deciding whether to have square or rounded corners; I couldn't decide. 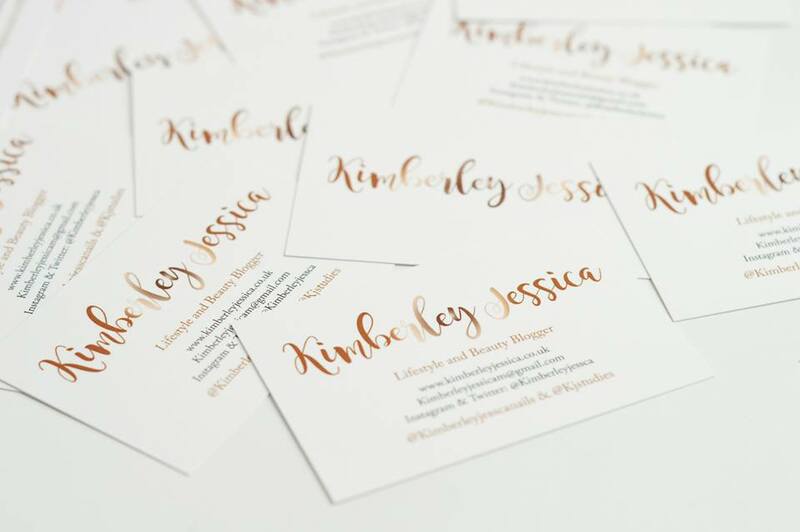 After seeing Em's (Em Writes/Oh Fab) business cards, I knew I desperately wanted the velvet texture on my business cards because they're so incredibly soft and you can really tell the difference between the cheap and nasty cards and the more expensive, attractive and eye catching cards. My mum preferred the Velvet texture too compared to a silk texture. For just under £20, you can get yourself 250 business cards with the velvet texture at Hello Print; it's a deal you cannot miss! Or you can get more than 250 if this is what you'd like. However, if 250 is too many for you, you can even get your hands on just 50 business cards; there's so many amounts to choose from. I personally would recommend Hello Print if you're looking for the best deal on business cards and you can either have them within one day or five days, depending on how much money you'd like to spend on postage and how desperately you need them. I didn't mind waiting so I paid the minimum as I knew I didn't need them for at least a month. If you have any questions, feel free to pop me a message!